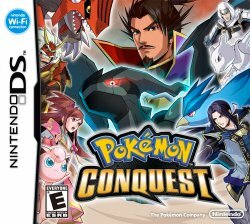 Not much is currently known about the game, but based on the previous series, this game features you controlling various Pokémon to take over parts of the region of Ransei. In the region, there are 17 castles each with military commanders all of whom are paired with specific Pokémon. The gameplay has you control various Pokémon in a combat scenario, having to use them to attack the enemies and fulfill missions. This is done via an isometric view and is turn-based, requiring you to think about the placement of your Pokémon as you traverse the various areas. In each region, there are are a variety of areas to explore in which you can find new Pokémon and trainers to join your army in order to take the other nations. This game takes approximately 20 hours to complete the main narrative, but has a "Final Scenario" mode which adds many new missions to the game which can increase the time spent tenfold.